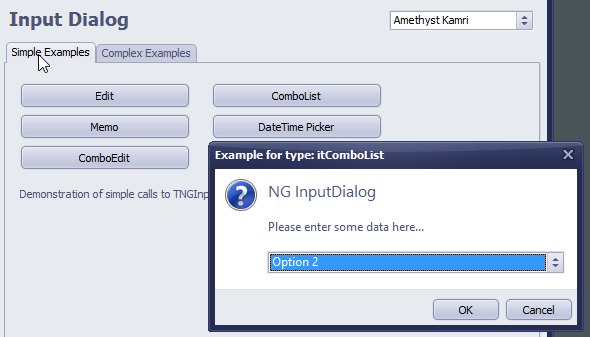 Finally the package provides design-time editor for TNGTaskDialog and TNGInputDialog components. 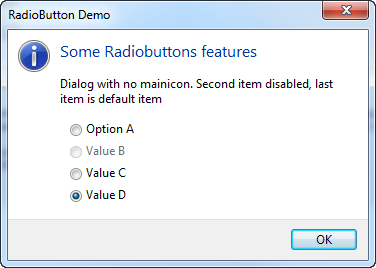 Double click on the dialog component. placed on a form, to execute design-time editor. 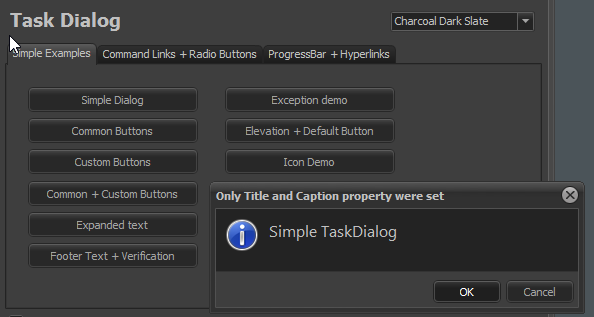 The editor provides a simple way to configure dialog, and provides the ability to look at the resulting dialog by clicking “Show Dialog” button. 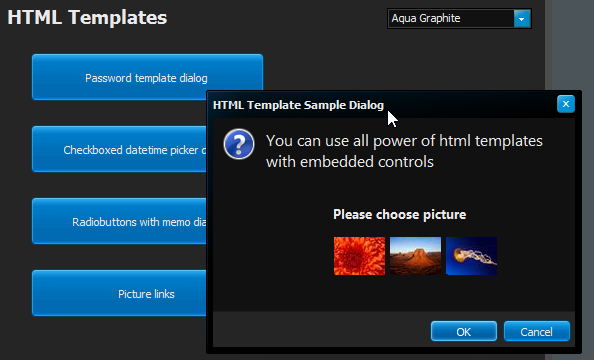 Compatible with Delphi and C++ Builder XE2 and better, including 64bit support for XE2 and higher! 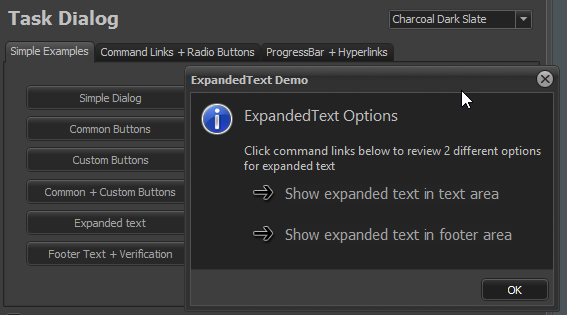 New Delphi/C++Builder releases will be supported almost immediately after public availability. 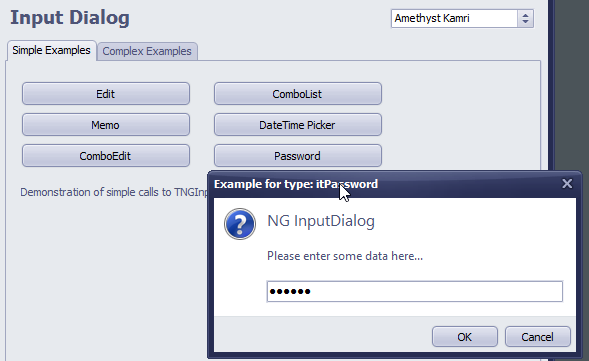 Advanced TNGInputDialog, supporting several data types and many TaskDialog features. 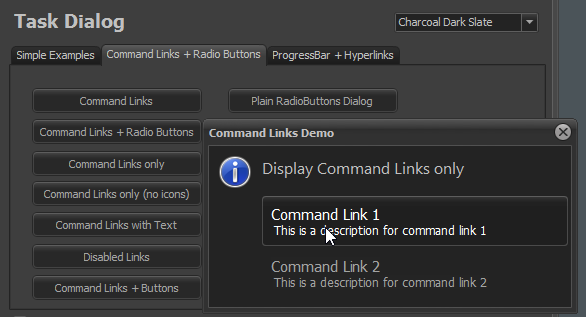 Besides that any control can be added via HTML templates. 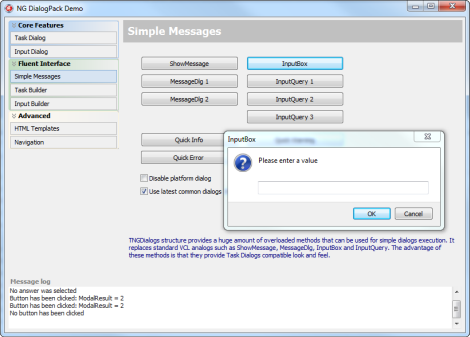 TNGMessageDialog which allows to display message dialogs in TTaskDialog look. 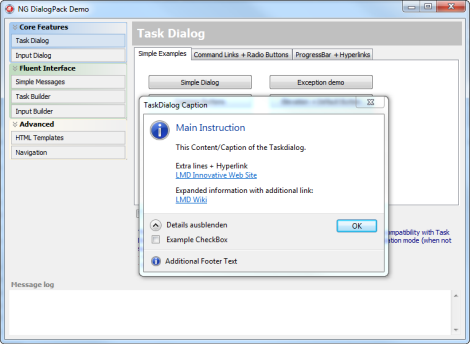 System- or emulated Taskdialog controls allow changing of states at runtime (either by using events or callbacks). Besides that internal controls can be manipulated at runtime via code. 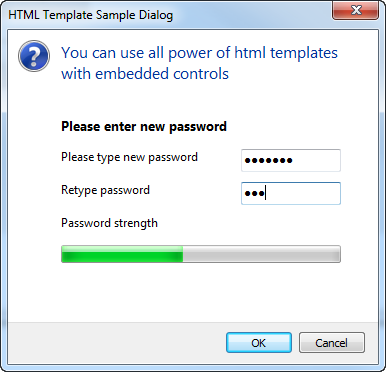 One of the most powerful feature of TNGInputDialog is usage of HTML Templates. 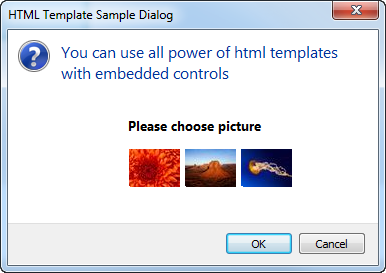 In this example user can select value by clicking on an image.